The first trailer for the latest horror-thriller from Paranormal Activity creator Oren Peli has gone online. Chernobyl Diaries follows a group of friends vacationing in Eastern Europe who find themselves stranded in a ghost town near the nuclear reactor incident site of Chernobyl. As expected, they begin to realize they’re not entirely alone. I actually think Chernobyl is an intriguing location for a horror pic, and though I’m not normally a fan of Peli’s stuff, the historical aspect of Chernobyl on display in the trailer is appealing. It’s hard to tell if the jump scares work or not from a computer screen, but I’m sure audiences will have a better idea of the film’s “scare factor” when they see the trailer in theaters. I still can’t figure out whether this is a found footage movie or not; either it is, or it’s filmed in a very handheld style. Peli was originally set to direct Chernobyl Diaries but he handed duties off to Brad Parker while assuming a producer role. Hit the jump to watch the trailer. The film stars Jonathan Sadowski, Jesse McCartney, Devin Kelley, Nathan Phillips, Ingrid Bolso Berdal, Dimitry Diatchenko, and Olivia Taylor Dudley. 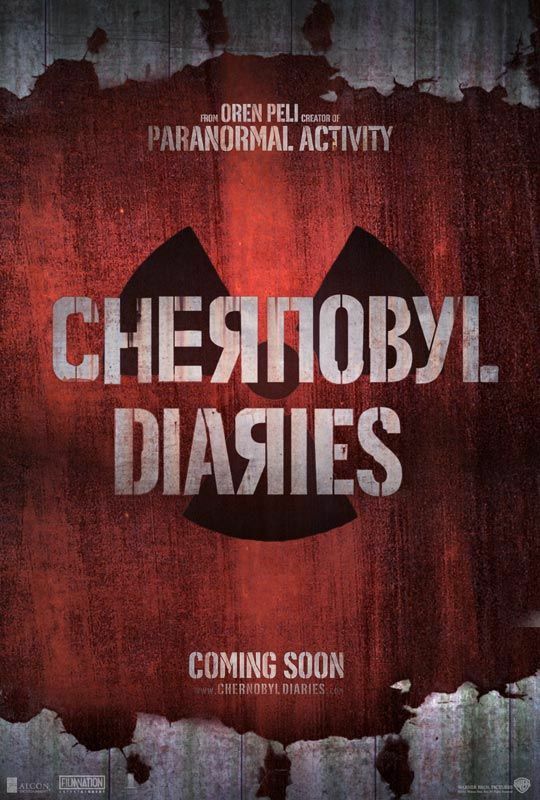 Chernobyl Diaries opens May 25th.